The ‘LED Face Mask’ concept was created by our manufacturer GTG Korea in the form of the MILUX LED Face Mask. The mask provides a cost effective solution to the general public that not only helps with certain skin conditions but works wonders as the ultimate anti-aging product. 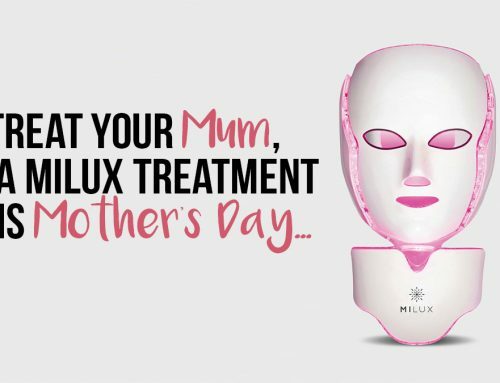 The MILUX LED Face Mask has found worldwide acclaim; it has been used by celebrities across the globe and can be found in Harvey Nichols and Bloomingdales In House spa; as well as being publicized by major powerhouses such as OK!, E News, Real Housewives of Orange County and Cheshire, US Weekly. MILUX LED Mask Light Therapy is the latest skin care trend. It’s clinically proven and affordable. It works at a cellular level for complete skin rejuvenation and targets a host of skin conditions by using specific wavelengths of light to penetrate the skin at varying depths with non-visible infrared light, visible red and blue light. The specific MILUX LED mask wavelengths helps with Skin Rejuvenation including wrinkles, skin spots, freckles, skin toning and age spots. The infrared light energy penetrates deep through the skins layers, to the muscle, giving depth to the clinical effects of rejuvenation by stimulating cells that have a more prolific role in circulation and regeneration. But what exactly is LED Therapy? Light emitting diodes or LED therapy as it is commonly known, is a specific wavelength of light that is used to stimulate the way in which our skin cells work. Initially invented by NASA, LED light has been found to have a profound effect in speeding up the metabolic rate that some of our skin cells work at. This has been proven to provide anti-aging, anti-microbial and rejuvenating properties, by boosting collagen and elastin cells (diminishing wrinkles, decreasing pore size and plumping the dermis) and killing bacteria. LED light therapy also helps skin conditions, pigmentation and dry skin extremely effectively. I had an amazing and unusual facial today… My skin feels amazing and I’m glowing.. I had Dermaplanning followed by red light therapy. I struggle with pigmentation so this treatment was perfect for me… it looks horrible but it wasn’t uncomfortable.. was well worth it for the results. Wow!